If you’re looking for a Disney princess in a blue satin gown, go elsewhere. 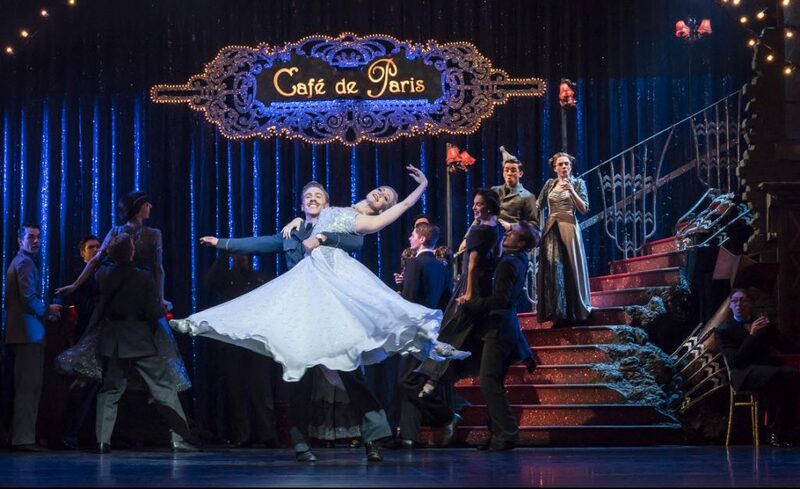 In Sir Matthew Bourne’s ballet, Cinderella, there is nary a tiara-wearing royal – not a tutu nor a toe shoe. A pair of silver glitter pumps is involved, and there is a love story, but that’s where the similarity ends. This Cinderella has step-brothers and step-sisters, and a step-mother reminiscent of Joan Crawford of “Mommy, Dearest” notoriety. Bourne places the action in World War II London during the time of the Blitz. Set to Prokofiev’s sweeping score, this glorious production opens with vintage black-and-white Pathé newsreels of the bombings as told by a cheerful, British reporter. Buck up, Brits, his delivery suggests, and they did. Bourne’s three acts take us from Cinderella’s stylish Victorian living room during the blackouts and air raids into apocalyptic scenes with girders crashing and buildings ablaze. As Brits were urged to “carry on” with life as usual we find ourselves in the Café de Paris, a sophisticated nightclub where the elite forget their troubles in stylized 1940’s dances. The sets and costumes by Lez Brotherston, in shades of grey with painterly touches of red, are nothing short of stunning. Most thrilling is the fairy godmother role, here called The Angel. 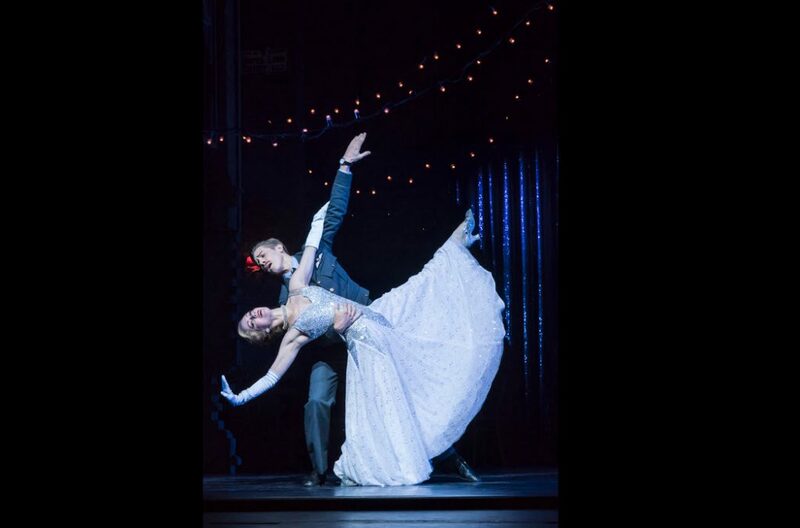 Danced by Liam Mower (Billy in the original Broadway cast of Billy Elliot the Musical), it is a prominent role unlike your fairy godmother of yore. Clad in a silver satin suit with slicked-back white hair, and looking more than a bit like David Bowie, he alternately guides and rescues Cinderella as she dreams of her love, Harry, the Pilot, an RAF pilot who is not an actual prince, but is her prince. Bourne’s choreography for The Angel is mesmerizing and Mower becomes nearly serpentine in Nijinsky-esque movements that are an exquisite blend of both classical and modern dance. Ashley Shaw (Cinderella) is a marvel. 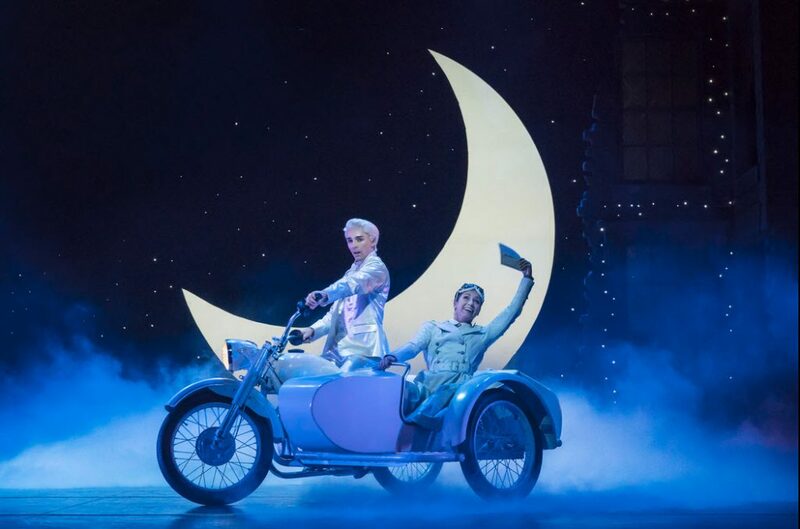 Known to those who saw her play Vicky Page in The Red Shoes during her US tour in 2016-2017 or in Bourne’s film and TV productions of Christmas, Sleeping Beauty and Cinderella. Her beauty and lithe physicality coupled with her expressive gestural movements, make her performance a joy to behold. With Ashley Shaw as Cinderella; Andrew Monaghan as Harry, The Pilot; Liam Mower as The Angel; Madelaine Brennan as Sybil, The Step-Mother; Alan Vincent as Robert, The Step-Father. Step-Sister & Step-Brothers played by Sophia Hurdley, Anjali Mehra, Jackson Fisch, Dan Wright and Stephen Murray. Boyfriends & Girlfriends played by Reece Causton, Ben Brown, Cordelia Braithwaite and Katie Webb. Harry’s Friends played by Danny Reubens and Edwin Ray. Café de Paris Bandleader played by Alan Vincent with Guests played by Seren Williams, Stephanie Billers, Joao Carino and Mark Samaras. ARP Wardens, Spies, Gas Mask Dogs, Airmen & Bombers, Prostitutes & Rent Boys, The Salvation Army, Savoy Guests, Thugs, Doctors, Nurses, Servicemen & Women and their Families, “Brief Encounter” couple and the people of London – played by members of the company. A perfectly spectacular production! Highly recommended.